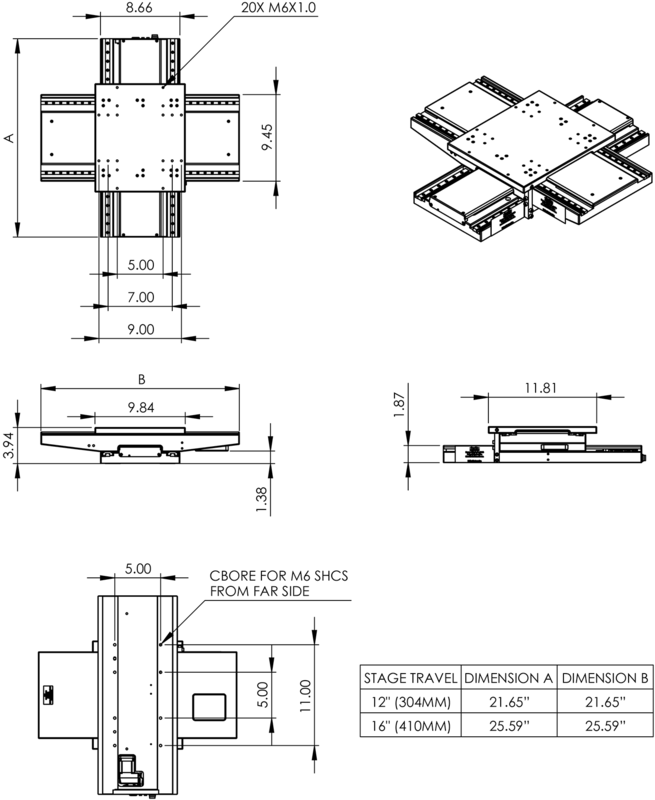 Precision Low Profile XY Stage | LP300E | Reliant Systems, Inc. The LP300E is a low profile XY stage with 300mm x 300mm travel developed for use where aesthetics and compact size are important. Often used in inspection or optical metrology instruments where the stage is fully visible to the user, care has been taken to make sure the LP300E looks as good as it performs. Considerable attention is paid to the quality of the surface finish on all exposed parts, and the linear encoders, lead screw drives, motors, and cable routing are fully integrated within the body of the stage. Despite being only 100mm tall, performance has not been compromised. Precision grade, recirculating caged ball bearing guides provide smooth, quite travel, long life, good load capacity and low angular and straightness errors. Horizontal and vertical straightness of travel errors are less than ±2.5µm per 300mm travel. Non-contact, hysteresis free, linear encoders directly monitor the position of the stage carriage to virtually eliminate the contribution of errors inherent in a mechanical drive such as hysteresis, thermal drift due to friction, and lead screw pitch errors. Bidirectional repeatability is better than ±0.5µm. Linear accuracy with linear error compensation is typically ±2.0µm and is guaranteed to be better than ±4.0µm. Performance of each stage is certified using a laser interferometer. 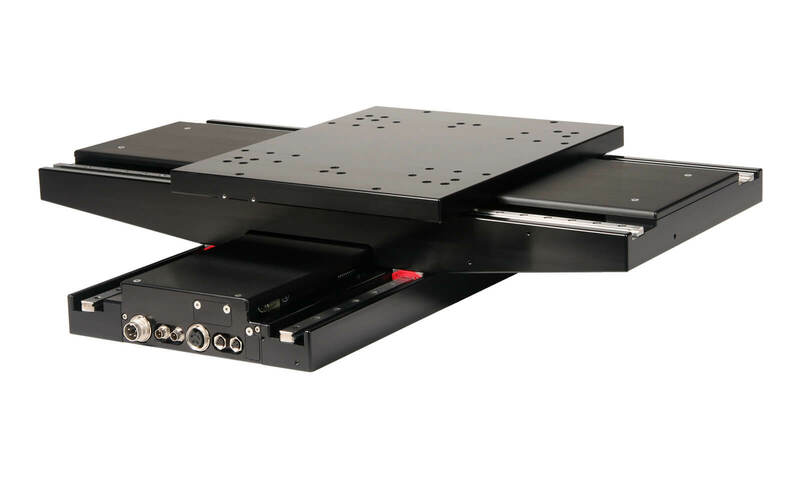 For simple, cost effective motion control the LP300E uses stepper motors with integral motor drivers and controllers. Communication to the host computer is by RS422/485, typically configured for multi-drop communication to support control of multiple axes using a single port. The RS422/485, power, and one I/O are looped through at the connector plate to simplify the integration of additional axes of motion (e.g. a Z Axis mounted to a bridge). There is also an optional auxiliary cable service loop available to support additional axes of motion or active tooling mounted on top of the LP300E.